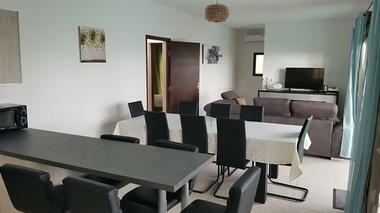 Ti Caz Kréol in Piton Saint Leu, has 2 fully equipped villas which can both sleep 6 people. 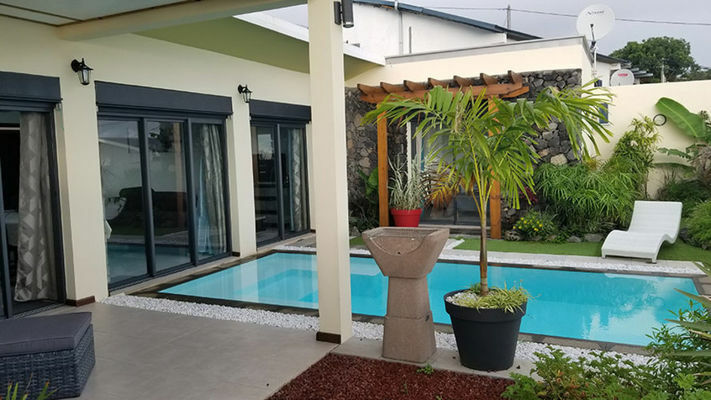 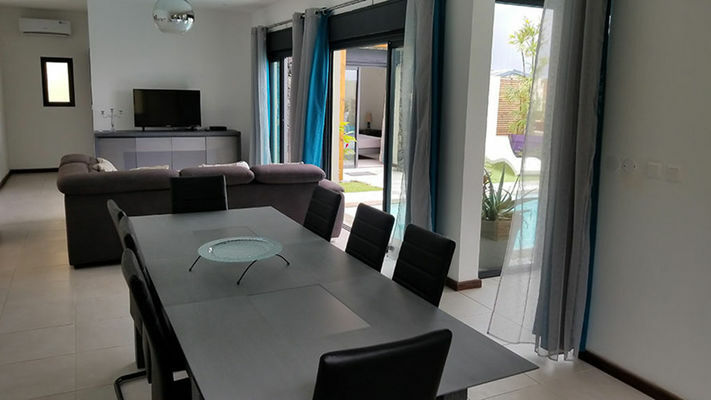 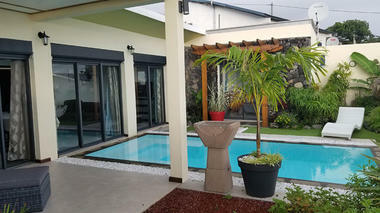 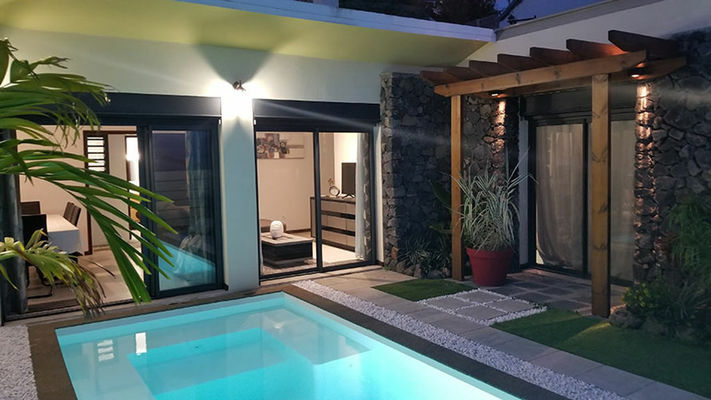 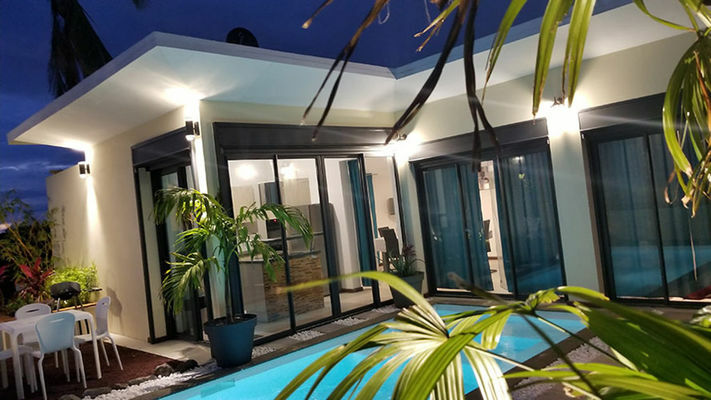 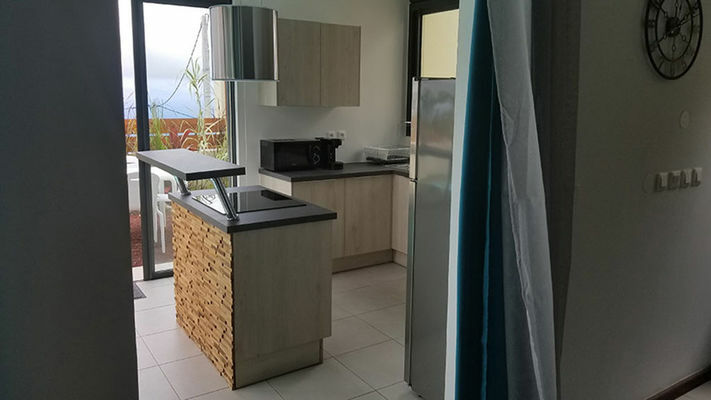 The 2 villas are nestled at a height of 400m above sea level in the Saint-Leu highlands in a quiet and totally exotic location with panoramic sea views. 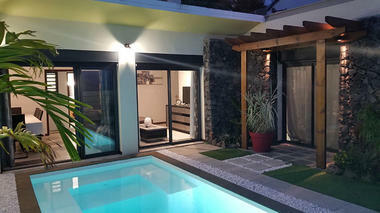 Relaxation is guaranteed in the small Zen garden, like a little oasis with a private swimming pool. 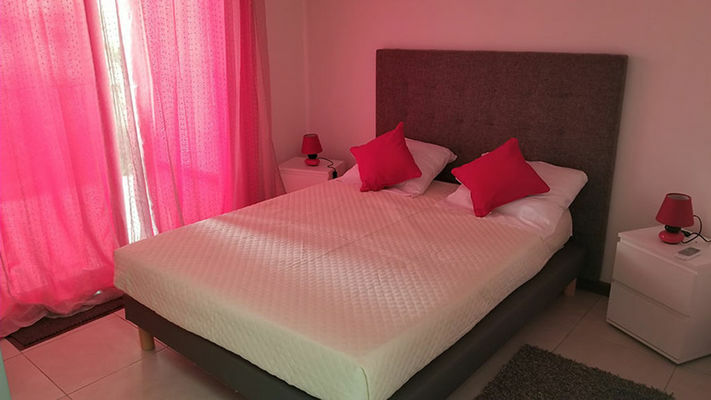 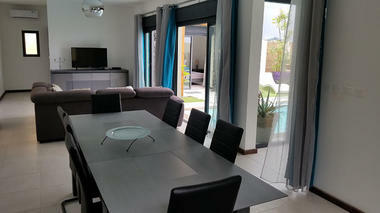 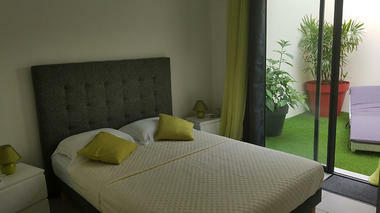 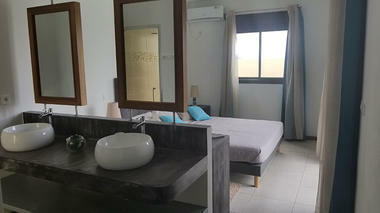 In a modern style, the bright and decidedly simple villas have 3 bedrooms and 2 bathrooms. Environment / Access : On the route des Tamarins, take the Piton Saint-Leu exit, to ZAC Portail Leclerc, towards the centre of Piton Saint Leu, then towards Les Avirons continuing on rue A; Lagourgue, for several metres and then with the Entre-Deux sign on the left, climb through the sugar cane fields as far as the first houses.